3 Ways to Get Pollen Allergy Relief in the Springtime. When conditions are right, a plant starts to pollinate. Weather affects how much pollen is carried in the air each year, but it has less effect on when pollination occurs. As a rule, weeds pollinate in late summer and fall. The weed that causes 75 percent of all hay fever is ragweed which has numerous species. One ragweed plant is estimated to produce up to 1 billion pollen grains. Other weeds that cause allergic reactions are cocklebur, lamb’s quarters, plantain, pigweed, tumbleweed or Russian thistle and sagebrush. To fully eliminate pollen in your home, we highly recommend using a combination of the products below to remove all pollen spores throughout your home. 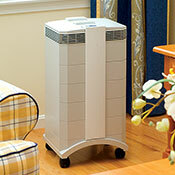 Air purifiers are a must have for all those suffering with seasonal pollen allergies. Get relief from your sneezing, itchy eyes and trouble breathing. Your most important action to take is to close the windows and run a HEPA air purifier day and night so you’ll no longer breathe pollen within your home. Your HEPA vacuum takes over where your air purifier leaves off. HEPA vacuums will vacuum up the pollen which has settled into your carpets and furniture. 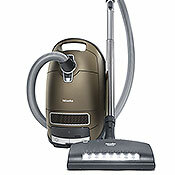 Using a vacuum with good accessories is very important to accomplish intensive and effective cleaning. Changing furnace filters regularly is your first line of defense against larger outdoor pollens and mold from entering your home, as well as preventing the recirculation of indoor pollutants. 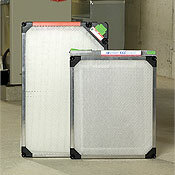 We strongly recommend using better grade furnace filters as part of your pollen protection program.